Дополнительная информация: Satin-finish stainless steel. Seamless beveled flange. 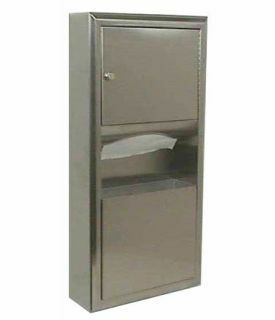 Dispenses 350 C‑fold or 475 multifold towels. Knob-latch retains door. Removable waste container has 2-gal. (7.6-L) capacity. Stainless steel skirt for surface-mounting.